Match ends, VfL Wolfsburg 1, CSKA Moscow 0. 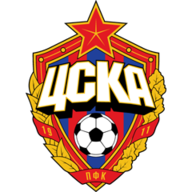 Second Half ends, VfL Wolfsburg 1, CSKA Moscow 0. Offside, VfL Wolfsburg. Nicklas Bendtner tries a through ball, but Christian Träsch is caught offside. Attempt blocked. Alan Dzagoev (CSKA Moscow) right footed shot from the right side of the box is blocked. Assisted by Seydou Doumbia. Attempt missed. Nicklas Bendtner (VfL Wolfsburg) right footed shot from outside the box is too high. Assisted by Julian Draxler. Attempt missed. Josuha Guilavogui (VfL Wolfsburg) left footed shot from the centre of the box misses to the right. Assisted by Maximilian Arnold. Substitution, VfL Wolfsburg. Josuha Guilavogui replaces Daniel Caligiuri. Attempt blocked. Daniel Caligiuri (VfL Wolfsburg) right footed shot from outside the box is blocked. Assisted by Max Kruse. Offside, VfL Wolfsburg. Ricardo Rodríguez tries a through ball, but Nicklas Bendtner is caught offside. Foul by Luiz Gustavo (VfL Wolfsburg). Attempt blocked. Daniel Caligiuri (VfL Wolfsburg) left footed shot from outside the box is blocked. Assisted by Maximilian Arnold. Substitution, CSKA Moscow. Georgi Milanov replaces Zoran Tosic. Attempt saved. Julian Draxler (VfL Wolfsburg) right footed shot from outside the box is saved in the top centre of the goal. Assisted by Maximilian Arnold. Substitution, VfL Wolfsburg. Maximilian Arnold replaces André Schürrle. Attempt missed. André Schürrle (VfL Wolfsburg) right footed shot from the left side of the box misses to the left. Assisted by Luiz Gustavo. Attempt saved. Zoran Tosic (CSKA Moscow) left footed shot from outside the box is saved in the bottom right corner. Assisted by Alan Dzagoev. Corner, VfL Wolfsburg. Conceded by Sergei Ignashevitch. Attempt saved. Pontus Wernbloom (CSKA Moscow) header from the centre of the box is saved in the centre of the goal. Assisted by Roman Eremenko with a cross. Corner, CSKA Moscow. Conceded by Luiz Gustavo. Attempt blocked. Zoran Tosic (CSKA Moscow) left footed shot from outside the box is blocked. Assisted by Mario Fernandes. Foul by Ricardo Rodríguez (VfL Wolfsburg). Zoran Tosic (CSKA Moscow) wins a free kick in the defensive half. Attempt saved. André Schürrle (VfL Wolfsburg) right footed shot from outside the box is saved in the bottom left corner. Assisted by Julian Draxler. Attempt saved. Zoran Tosic (CSKA Moscow) left footed shot from outside the box is saved in the centre of the goal. Assisted by Alan Dzagoev. Substitution, CSKA Moscow. Seydou Doumbia replaces Bebras Natcho. Ahmed Musa (CSKA Moscow) wins a free kick on the left wing. Roman Eremenko (CSKA Moscow) wins a free kick in the attacking half. Attempt missed. Naldo (VfL Wolfsburg) right footed shot from outside the box misses to the right. Assisted by Max Kruse. Daniel Caligiuri (VfL Wolfsburg) wins a free kick in the defensive half. Attempt blocked. Max Kruse (VfL Wolfsburg) right footed shot from outside the box is blocked. Assisted by Nicklas Bendtner. Dante (VfL Wolfsburg) wins a free kick in the defensive half. Foul by Daniel Caligiuri (VfL Wolfsburg). Georgy Schennikov (CSKA Moscow) wins a free kick in the defensive half. Corner, VfL Wolfsburg. Conceded by Mario Fernandes. Attempt missed. Nicklas Bendtner (VfL Wolfsburg) header from the centre of the box misses to the left. Assisted by Max Kruse with a cross. Luiz Gustavo (VfL Wolfsburg) wins a free kick on the left wing. Attempt missed. Daniel Caligiuri (VfL Wolfsburg) right footed shot from the right side of the six yard box misses to the left. Assisted by Ricardo Rodríguez with a cross. Second Half begins VfL Wolfsburg 1, CSKA Moscow 0. Substitution, VfL Wolfsburg. Nicklas Bendtner replaces Bas Dost. First Half ends, VfL Wolfsburg 1, CSKA Moscow 0. Pontus Wernbloom (CSKA Moscow) wins a free kick in the attacking half. Goal! VfL Wolfsburg 1, CSKA Moscow 0. Julian Draxler (VfL Wolfsburg) right footed shot from very close range to the high centre of the goal. Attempt saved. Julian Draxler (VfL Wolfsburg) header from the centre of the box is saved in the centre of the goal. Assisted by Max Kruse with a cross. Attempt blocked. Ahmed Musa (CSKA Moscow) right footed shot from outside the box is blocked. Assisted by Pontus Wernbloom. Attempt blocked. Daniel Caligiuri (VfL Wolfsburg) right footed shot from the centre of the box is blocked. Attempt missed. Luiz Gustavo (VfL Wolfsburg) left footed shot from outside the box is too high. Assisted by Julian Draxler. Attempt missed. Alan Dzagoev (CSKA Moscow) right footed shot from the centre of the box is too high. Assisted by Mario Fernandes with a cross. Attempt saved. Luiz Gustavo (VfL Wolfsburg) header from the centre of the box is saved in the centre of the goal. Assisted by Ricardo Rodríguez with a cross. Daniel Caligiuri (VfL Wolfsburg) wins a free kick on the right wing. Corner, VfL Wolfsburg. Conceded by Georgy Schennikov. Attempt missed. André Schürrle (VfL Wolfsburg) left footed shot from outside the box is high and wide to the left. Assisted by Christian Träsch. Attempt missed. Roman Eremenko (CSKA Moscow) right footed shot from outside the box is too high. Assisted by Ahmed Musa. Attempt saved. André Schürrle (VfL Wolfsburg) right footed shot from the left side of the box is saved in the centre of the goal. Assisted by Julian Draxler. Attempt saved. Bas Dost (VfL Wolfsburg) with an attempt from the centre of the box is saved in the centre of the goal. Assisted by Julian Draxler with a cross. Offside, CSKA Moscow. Pontus Wernbloom tries a through ball, but Mario Fernandes is caught offside. Foul by Bas Dost (VfL Wolfsburg). Sergei Ignashevitch (CSKA Moscow) wins a free kick in the defensive half. Corner, VfL Wolfsburg. Conceded by Zoran Tosic. Attempt blocked. Luiz Gustavo (VfL Wolfsburg) right footed shot from outside the box is blocked. Max Kruse (VfL Wolfsburg) wins a free kick in the attacking half. Attempt missed. Bas Dost (VfL Wolfsburg) header from the centre of the box is too high. Assisted by Christian Träsch with a cross. Offside, VfL Wolfsburg. Ricardo Rodríguez tries a through ball, but Dante is caught offside. Christian Träsch (VfL Wolfsburg) wins a free kick in the attacking half. Ahmed Musa (CSKA Moscow) wins a free kick in the defensive half.